DressIt - Get Dressed In Seconds. We are the future of fashion. Get suggestions on what to wear in seconds. DressIt is the closet of the future. 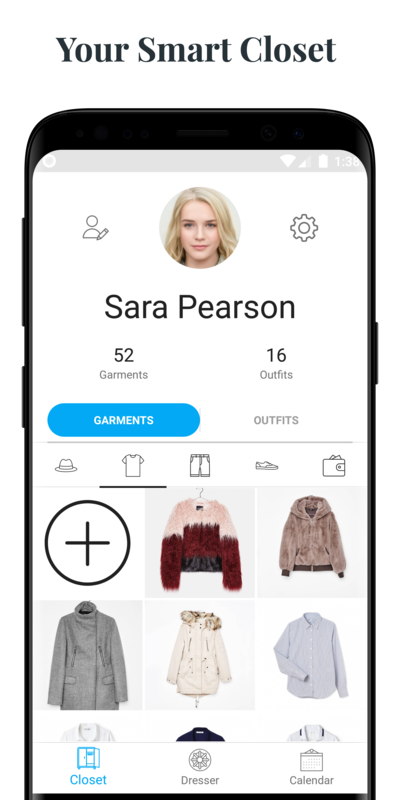 You can store all your outfits and garments within the app so it helps you decide how you can match your garments. We are working hard to make DressIt the fashion social network of the future. 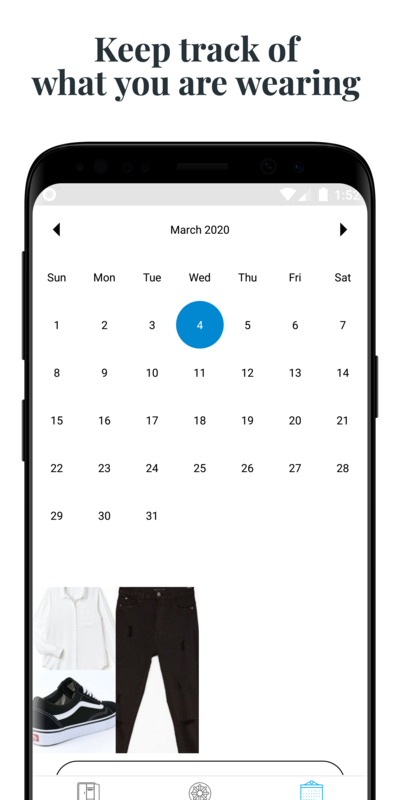 Soon you will be able to add friends and find out what they are wearing. 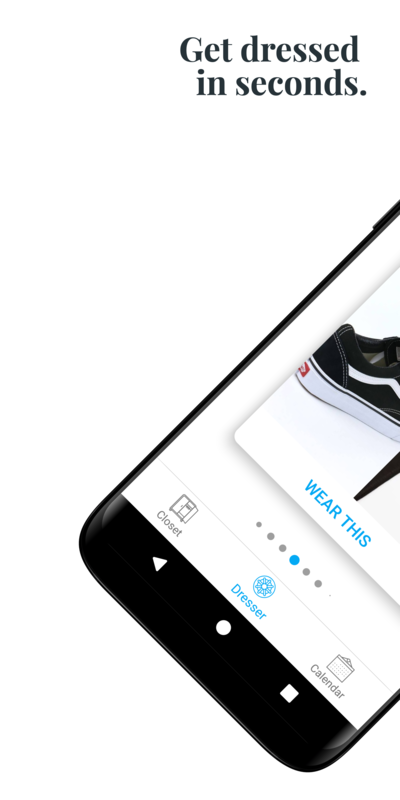 Our app makes you feel connected with your clothes. 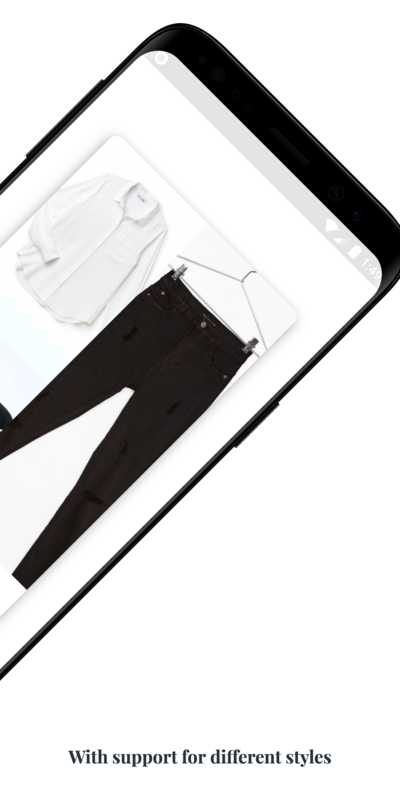 With DressIt installed, you will never have to spend hours thinking about what to wear. You can get dressed in seconds. We decide how to match your clothes based on the style you want to wear. 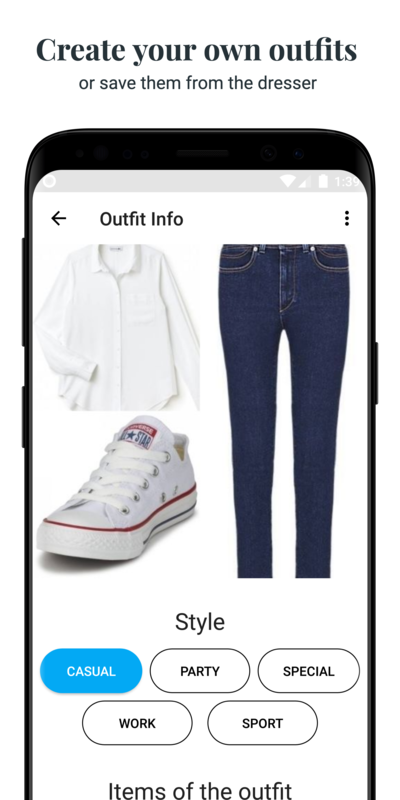 Get the best outfit ideas based on you local weather. © 2018 DressIt App, S.L.